During the summer of 2018, Alexi Butts ’20 braved the Claremont heat to write Scripps College’s first ever sustainability report. This report reviews the data and programs related to Sustainability at Scripps during the 2017-2018 fiscal year, and serves as a baseline for creating future sustainability reports. It includes snapshots of sustainability practices within various categories such as education, energy, buildings, transportation, water, grounds, waste, and dining. You can find the report published at scrippsvoice.com. Butts worked as a student intern under Sustainability Coordinator Tiffany Ortamond and Grounds Director Lola Trafecanty to collect data and write the majority of the report. She describes compiling data as one of the most challenging aspects of her work. Butts felt the “Energy” and “Water” portion of the report were not as detailed as they should be due to insufficient information. The data that she did obtain showed that Scripps sources 63.3 percent of its energy from natural gas, 36.1 percent from electricity, and just 0.60 percent from solar. Additionally, while the Grounds Department has been replacing water intensive turf with drought tolerant ground cover, irrigation increased from 19,075,496 gallons in 2016-2017 to 23,882,144 gallons in 2017-2018. Domestic water use, on the other hand, decreased from 26,142,600 gallons in 2016-2017 to 20,125,688 gallons in 2017-2018, a reduction likely stemming from the implementation of low flush toilets and low flow faucets and showerheads. The “Academic” and “Student Involvement” sections of the report included much more detail thanks to a larger pool of accessible information. One of the most surprising facts was the degree to which study abroad flights contributed to Scripps’ carbon footprint. The estimated 1,505,918 miles of air travel linked to study abroad produced 458.3 tonnes of CO2 emissions. That is equivalent to the emissions from 55 households’ energy use over a year. Although Butts finished the report at the end of her summer internship, she went abroad during the fall semester without a clear idea of how it would finally get published and circulated. Unfortunately, both Tiffany Ortamond and Lola Trafecanty left Scripps College during the fall semester, leaving no clear person with the task of publishing the report. Butts came back to campus to find her hard work untouched in the Sustainability Box account. However, she felt that amount of time, resources, and money spent towards this report would be a waste if it were not published. She also wanted Scripps to have a public record of its own sustainability data so that it could be held accountable to setting and reaching new goals. 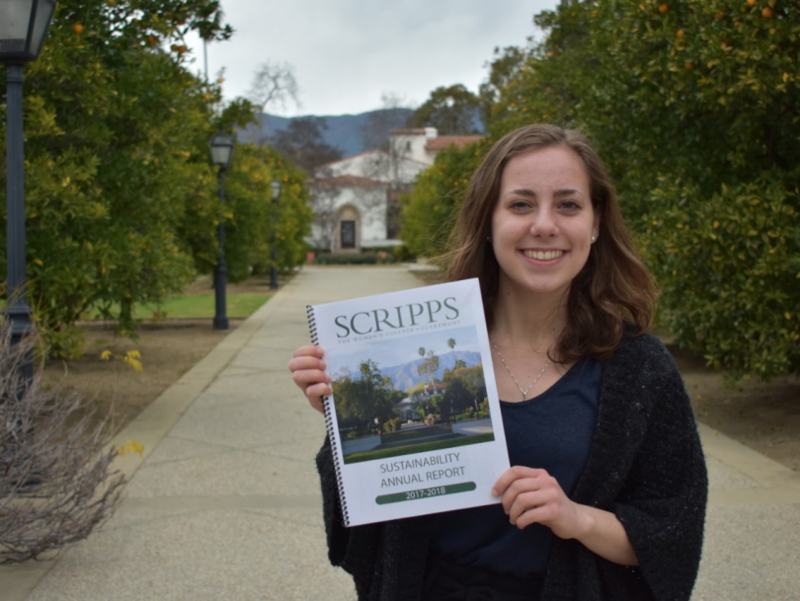 Therefore, she took the initiative to publish the report on her own, giving copies to the President, various Facilities and Grounds staff, interested students, and the Scripps Voice. 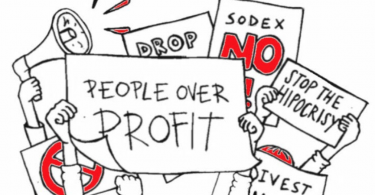 The struggle to write and finally publish the report raises the question: will we have a sustainability report next year? Most likely not. Without a sustainability coordinator to oversee this project, it is unlikely that Scripps will have the peoplepower to accomplish the task. However, Butts is hopeful that by setting the precedent with this first report, the administration might prioritize its continuation in the future.